Tickets $15 in advance available through Eventbrite. $20 at the door. A native of Minnesota, Robert is perceived as the “Pavarotti of Gospel” in the Twin Cities. At the early age of six, Robert began singing with his family, “The Robinson Children.” In 1992 Robert decided to make music his full-time career. He has performed for such greats as Aretha Franklin, Jermaine Jackson, Prince, the Clark Sisters, The Steeles and the Sounds of Blackness. For 15 years Robert toured with nationally celebrated pianist Lorie Line and her Pop Chamber Orchestra as the featured soloist. Robert has 13 solo projects to his credit. He also produced three additional projects through Compass Productions that were distributed exclusively through Target Stores. His latest releases–“Lullabies From the Heart” and “A Celebration of Praise” have been kindly reviewed and celebrated by the media and his fans. 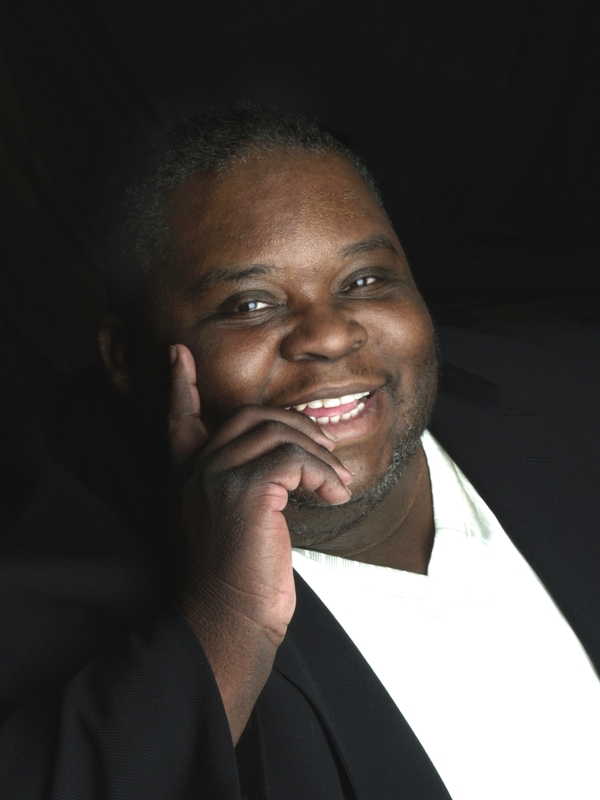 For nearly 20 years Robert was the executive/artistic director of the Twin Cities Community Gospel Choir and Ensemble. Together they traveled the state of Minnesota and throughout the Upper Midwest and recorded three CD projects. For the past five years, Robert currently works as Artist-In-Residence for First Covenant Church-Minneapolis. He sits on the ministry team and directs the community gospel choir there. Robert has traveled nationally and internationally. He was voted “Best Gospel Artist” by the Minnesota Music Academy in 2004 and 2006. Robert is known for his powerful and sensitive delivery. His goal in music is to make a positive difference through his gift of song. Sacred Heart‘s 3rd annual Holiday Concert will again feature talented young musicians from our community, including American Guild of Organists scholarship students, First United Methodist’s youth handbell choir and some additional surprises. As in past years, Sacred Heart‘s Resident Organist, David Tryggestad will lead a carol sing-along on Sacred Heart‘s mighty Felgemaker organ. We will be collecting a free-will donation for the ongoing maintenance and preservation of the Felgemaker. Concert parking is available at the Damiano Center across the street. Accessible entrance is on 2nd Avenue. 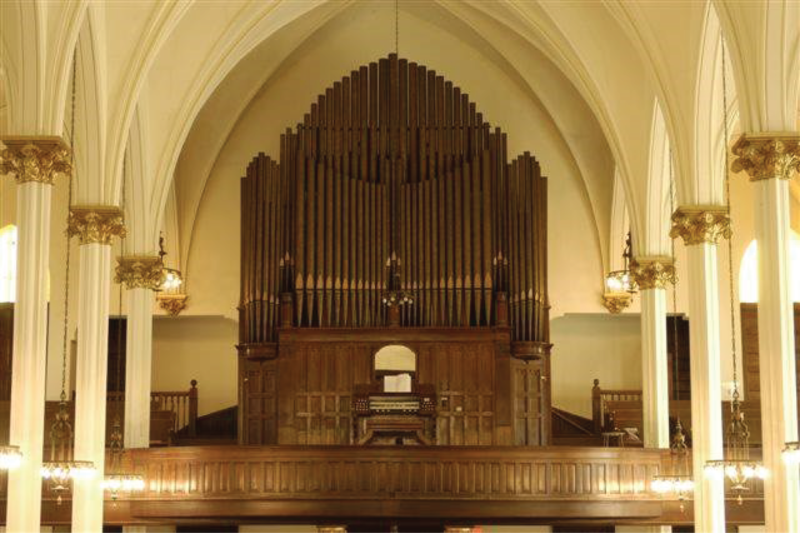 Friends of the Felgemaker is dedicated to the generation of awareness, interest and funds for the restoration and maintenance of the 1898 Felgemaker organ at Sacred Heart Music Center, a musical treasure in the Northland. Tickets $20 in advance available through Eventbrite. $25 at the door. After growing up in an environment where secular music was not readily available, Noble was inspired, like so many, by Joni Mitchell’s historic album Blue, to find her own voice in songwriting. Keri gained the attention of the world-famous producer, Arif Mardin, and a recording deal with EMI/Manhattan Records soon followed. Worldwide touring supported her debut release Fearless. In early 2011 Keri became a regular appearing on KFAN, the Twin Cities leading sports talk radio station creating and hosting the segment “Keri Around Town”. The segment highlighted the entertainment happenings in the area. This success led Keri to become a full time radio personality in 2012, co-hosting “Oake and Keri in the Morning” with Brian Oake on Cities 97 daily from 6:00am – 9:00am. In January, 2016 Keri began as the sole host of “Keri in the Morning” on Cities97. In April, 2016 Keri was joined by Greg Thunder on her radio show now called “Keri and Greg in the Morning”. Keri also enjoys guest hosting on the TV show “Twin Cities Live” on ABC in Minneapolis/St. Paul. Mason Jennings – As one grows into adulthood, remaining steadfastly single-minded about one’s pursuits gets increasingly difficult. The musician becomes a band mate navigating the creative energies of those around them. He becomes a boyfriend, a husband, a businessman. She becomes a lover, a mother, a practitioner of her art. Life becomes multifarious, and the pressure to not let the disparate threads of a chaotic life unravel can cause strain on any relationship. With his new album Minnesota, Mason Jennings crafts a collage of love trying to survive the transition into being a grown-up in a complex world. Tickets: $12 in advance, available through Eventbrite.com. $15 at the door. Join us for an evening with the Twin Ports’ own Gaelynn Lea. Winner of National Public Radio’s 2016 Tiny Desk Concert series, Gaelynn has recorded at Sacred Heart many times, but now the doors will be open for all to hear her perform in our oh so unique acoustical landscape. If you’ve not heard of her, check out her site and music at the link below! Gaelynn Lea is a musician and public speaker from Duluth, MN. She has been playing violin for over twenty years. First classically trained, she began learning traditional Celtic and American fiddle tunes at the age of 18. During her college years Gaelynn started sitting in with various folk/rock musicians and developed an improvisational style all her own. Eventually she also began singing and dabbling in songwriting. Gaelynn has played alongside many notable Minnesota musicians over the years, including Alan Sparhawk, Charlie Parr, and Billy McLaughlin. Recital is free to attend but donations are encouraged. Join us the second Saturday of September for our monthly organ recital on the beautiful and newly refurbished Felgemaker organ. Concert parking is available at the Damiano Center across the street. Accessible entrance is on 2nd Avenue. Free-will donation taken at all concerts with proceeds going to the Felgemaker Organ Maintenance Fund. Tickets: Adults: $18 and Students/Seniors: $10 in advance available through Eventbrite.com, Adults: $23 and Students/Seniors: $15 at the door. Tonic Sol-fa began at St. John’s University in Central Minnesota and includes lead vocalist Shaun Johnson, tenor and vocal percussionist, Greg Bannwarth, and bass, Jared Dove. Together the group reached national prominence with appearances on NBC’s Today Show and in Newsweek magazine. Along the way, they shared the stage with a number of recognizable performers including Jay Leno, Jeff Foxworthy and Lonestar, and were recently part of Garrison Keillor’s 30th Anniversary celebration of A Prairie Home Companion. 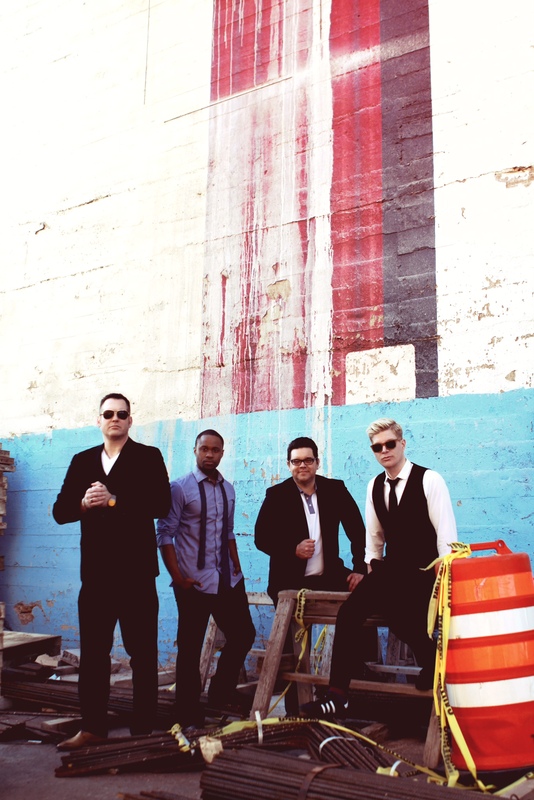 From the group’s onset, the members have overseen and operated the business of Tonic Sol-fa with a only a small team of driven supporters acting as managers, lawyers, and publicists, and increased revenue from a few thousand dollars in their first year to a multi-million dollar limited liability company today. The group overcame a number of obstacles, including an unspoken apprehension to a cappella acts by individuals in the music industry and having a name that was anything but catchy (a system of naming the notes of the scale, usually do, re, mi, fa, sol, la, ti, developed to teach singing). Still, the group persevered, recording and manufacturing its own records and selling them to a growing legion of fans via the Internet and social networking sites, in the lobby of the theaters where they performed, and through a growing national distribution. One could say they gained their current consumer popularity the old fashioned way; they earned it. 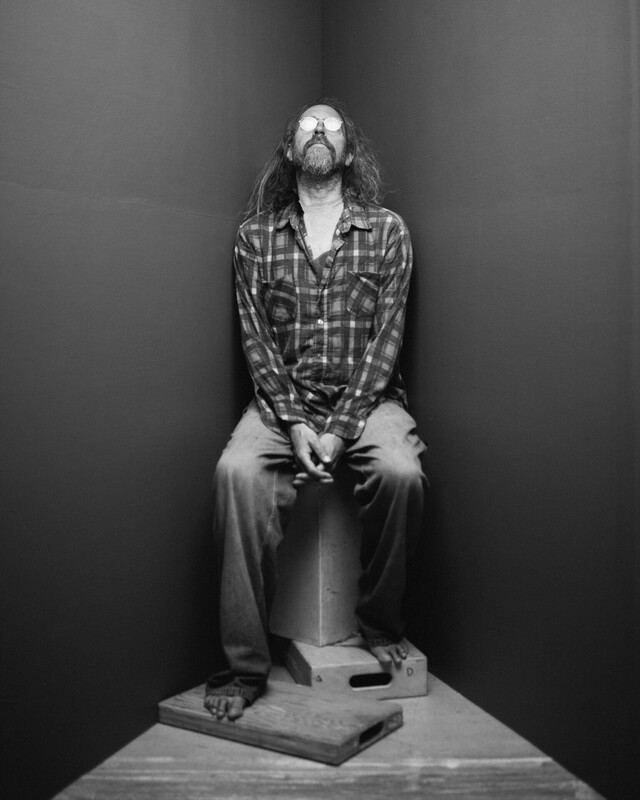 Fans who have been following Charlie Parr through his previous 13 full-length albums and decades of nonstop touring already know that the Duluth-based songwriter has a way of carving a path straight to the gut. On his newest record, Dog, however, he seems to be digging deeper and hitting those nerves quicker than ever before. “I want my son to have this when I’m gone,” Charlie sings not 10 seconds into the opening song on Dog, “Hobo.” His voice sounds weary but insistent, his accompaniment sparse and sorrowful. By the second line, the listener has no choice but to be transported on a journey through the burrows of his troubled mind, following him through shadowy twists and turns as he searches for a way out. It turns out Charlie’s been grappling with quite a bit over these past few years. As he prepares to release his new album on Red House Records this fall, he’s just as candid about discussing his experiences in person as he is while singing on the heat-rending Dog. Sunday, September 10th, 11:00 AM doors at 10:00AM. Tickets: Kid’s 0-2, Free! Kids 3-12, $12.00. Adults, $15.00. Tickets available in advance through Eventbrite.com. Joe and Justin were born adventurers. Now, as the GRAMMY® Award-winning Okee Dokee Brothers, they have put this passion for the outdoors at the heart of their Americana Folk music. Joe and Justin record and perform family music with a goal to inspire children and their parents to get outside and get creative. They believe this can motivate kids to gain a greater respect for the natural world, their communities and themselves. An unapologetically feminist festival. 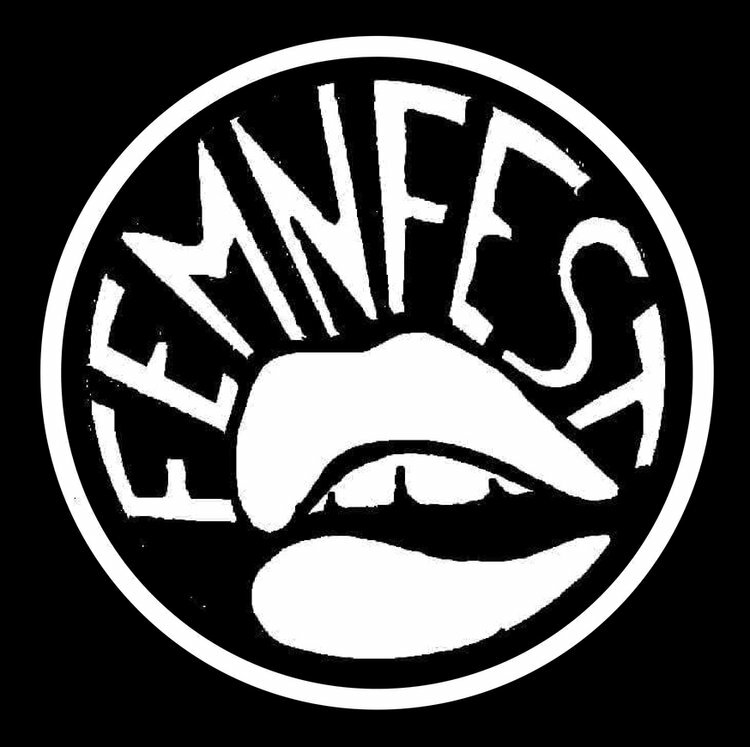 FEmnFest centers and features people that are women, fem, and/or non-binary identified. It is fully comprised of (and entirely run/operated by) all of these identities and feminist allies. All are welcome. A weekend of empowerment through music, art, films, workshops, education, and connection. Celebrating with one another to enjoy ourselves, enrich ourselves, and connect as a community. The mission is to seek and promote gender balance in the arts industry by displaying dynamic diverse representation, increasing visibility, and amplifying underrepresented voices. Friday, September 29th, 7:30 PM doors at 6:45 PM. Tickets $10 available through Eventbrite.com and at the door. Duluth, MN band Coyote will celebrate their 10 years as a group at Sacred Heart Music Center on Friday September 29th, 2017. This acoustic trio featuring Jerree Small (Southwire), Marc Gartman (Two Many Banjos) and Matt Mobley (Red Mountain) will perform songs from their 3 released CD’s and also preview new material from an upcoming album, their first since 2012. Local lounge jazz act Tender Ness opens. Tickets: $10 for adults, $5 for children. Tickets will be available at the door. Join us for a Sacred Heart Silent Film featuring Sacred Heart’s beautiful 19th Century Felgemaker Organ! 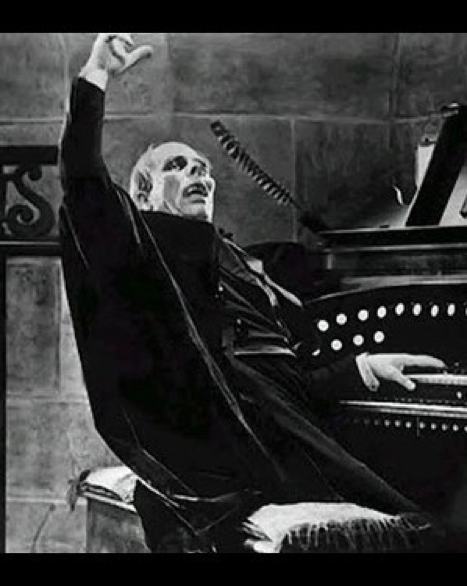 Internationally acclaimed Organist Aaron David Miller will accompany Phantom of the Opera! We will be serving beer, wine and FRESH popcorn! Join us the second Saturday of January for our monthly organ recital on the beautiful Felgemaker organ. Concert parking is available at the Damiano Center across the street. Accessible entrance is on 2nd Avenue. Free-will donation taken at all concerts with proceeds going to the Felgemaker Organ Maintenance Fund. Receptions to follow with treats. Join us for a delicious pot-luck supper, wonderful music, inspiring speakers, fun dancing, and motivating information tabling. Take the oath to protect and defend the constitution and our democracy! 5:30 WELCOMING AND GATHERING MUSIC BY TERRANCE SMITH AND FRIENDS! Speakers: Ann Miller – Sierra Club; Eric Enberg – Citizens Climate Lobby; Duluth For Clean Water; Jesse Peterson. CIRCLE DANCE: Terrance Smith and Friends! Join us for an evening of music with The Islay Trio featuring Pianist Alexandor Sandor and violinists Michael Zellgert and Daniel Radosevich. They’ll be performing pieces from ragtime and stride piano to Bartok and other classics. Alexander Sandor is a veteran of ragtime festivals across the country. Mr. Sandor’s recordings, Fingerbuster and Cascades, have made their way to every colonized continent on the planet. The Rag Times writes, “his is a prodigious talent, and every piece is arranged so that he is all over the keyboard before the ending”. 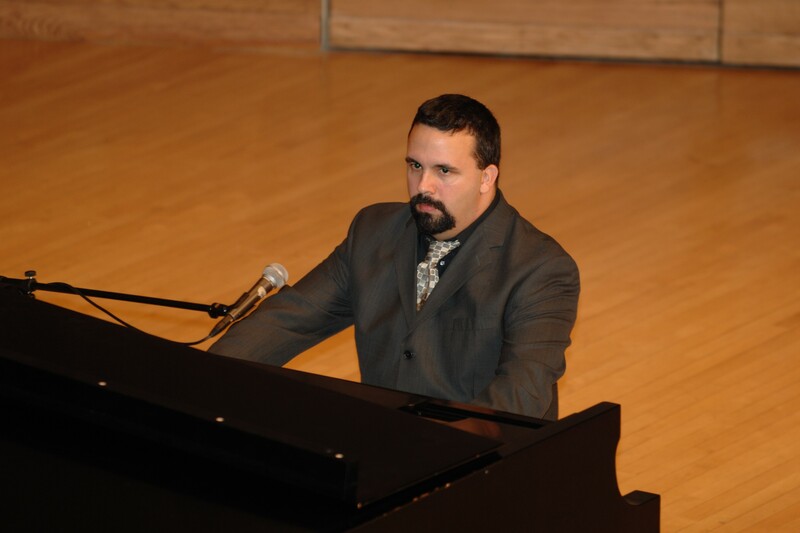 Mr. Sandor has worked at the Interlochen Arts Academy accompanying dance classes and student recitals and has performed as a soloist with the Duluth Superior Symphony Orchestra, Lake Superior Chamber Orchestra, Itasca Symphony Orchestra, Red Cedar Symphony, UWS Chamber Orchestra and Long Prairie Chamber Orchestra. This past summer he performed the U.S. premier of the Concerto for Piano and Winds, by Leo Smit. He is a Senior Lecturer at UW-Superior, and is the organist at the United Presbyterian Church in Superior, WI. This is an 18+ show, valid IDs will be checked at the door. Tickets: $12.50 available in advance through Eventbrite.com or $15 at the door. The Duluth Dolls were founded in January of 2012 by a small group of Duluth based women. 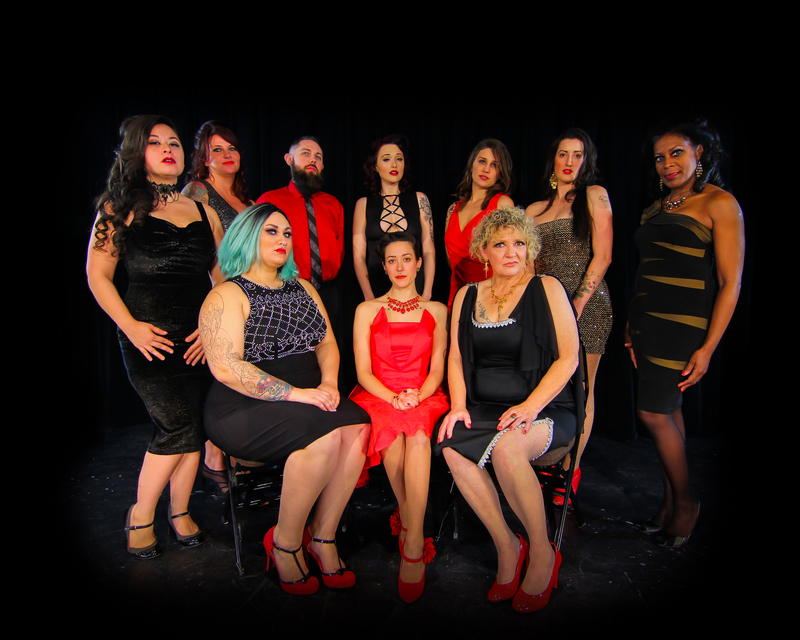 As dancers, performers, musicians and all around theatrical beings, the Dolls strive to bring to Duluth the true essence of Burlesque: The art of the striptease. Each Doll to be encountered is filled to the brim with a kind of magic and creativity that will leave one questioning what has happened while simultaneously wanting more. Within the group each individual has discovered the power and beauty behind a body positive outlook, female camaraderie, and support of creativity. Each performer from the Duluth Dolls carries with her a strong sense of these aspects and strives to bring them to the stage and ultimately to you, the audience. Since its inception, the Dolls have guest appeared in many shows in Duluth, Minneapolis and Chicago; and have produced over 100 shows at local venues around Duluth. They bring heat to cold winter nights, sauce to summer barbecues, and enchantment to the unsuspecting viewer. Tickets: $18 Adults, $6 Students, and Kids 17 and under are free. Tickets available in advance through Arrowhead Chorale’s website. Join us for an evening of works by Minnesota Composer, Craig Carnahan, including the premiere of a work commissioned by and for Arrowhead Chorale. Mr. Carnahan is also collaborating with Arrowhead Chorale to facilitate a rare and exciting composition contest for composers early in their careers, providing them the opportunity to have their work performed by our ensemble. Learn more here. Tickets:$15 in advance available through Eventbrite.com, $20 at the door. Everybody wants a story. Something to sell. I’m here to tell you that there isn’t one with this album, at least in the traditional sense, but ten. Perhaps each of them contain more stories, sitting inside each other like nesting dolls. I could sit here and tell you that some of the songs are about growing up in the Black Hills. Some of the songs are about my parents. Some of the songs are about sexuality. Some of the songs are about loss of youth, teenage parenthood, the lines of social disorder for women, or the terror of jealousy and suspicion. But what I write is borne of my own set of memories and ideas, and once they are released into the world, they do not belong to me anymore. The interpretation is all yours, therefore these stories are yours. 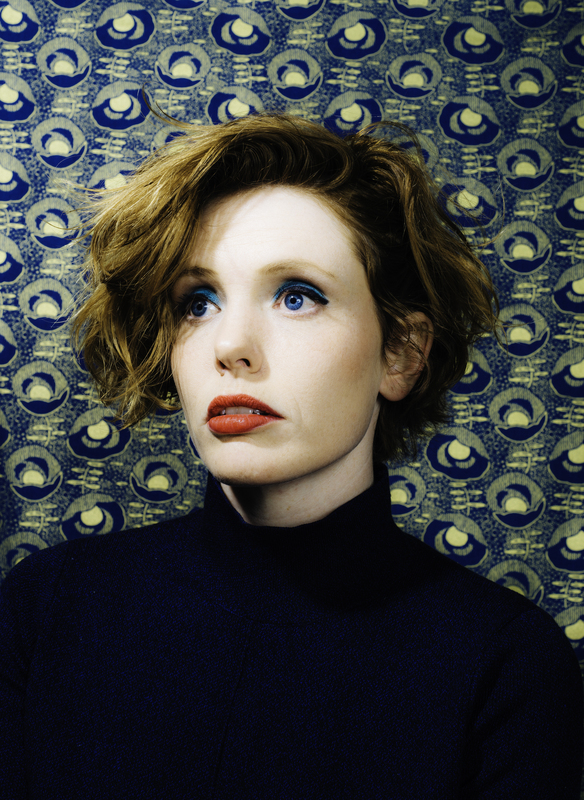 What I can tell you is this: My name is Haley Bonar (rhymes with “honor”). I’m 33 years old, a Taurus, and I live in Saint Paul, MN with my daughter Clementine. Impossible Dream is my 7th full length studio album. I also sing in a band called Gramma’s Boyfriend. Superior Siren has a haunting voice accompanied by a mesmerizing blend of strings and percussion. The sound evolves from alluring swells of somber melodies to fierce waves of ominous storms. The music will leave you ship wrecked upon the shores of Lake Superior. Tickets: $15 in advance available through Eventbrite.com, $18 at the door. Tickets: $5 for children, $7.50 for students, and $12.50 for adults in advance. Tickets available through Eventbrite.com. Door Tickets: $5 for children, $10.00 for students, and $15.00 for adults. Join us for a lovely evening of music for one, two, and three lutes and tenor. They will be performing delightful selections from the renaissance period by John Dowland of Elizabethan England and music of Emanuel Adriansen of Flanders. They will perform beautiful adaptations for lute trio which are seldom heard, as well as astonishingly beautiful songs with tenor. The Lute Collective consists of veterans of the lute and related instruments. The members include lutenists Edward Martin, Phillip Rukavina, and Thomas Walker. This trio of lutenists have performed together for over 30 years in various combinations; Martin and Rukavina have performed for years as a lute duo, the vihuela duo “Duo Chambure”, and as members of the Chambure Vihuela Quartet. They recorded “The Vihuela Duets of Enruguez Valderrabano” and have performed this program in various settings, including in Guijon, Spain, and in Cleveland. They also recorded “Canto y Danza”, with the Chambure Vihuela Quartet. Martin and Walker have a duo of baroque lute duets, and their recording of French Baroque Lute Duets, “Courante” has received 5 star reviews on international classical music magazines. Rukavina and Walker have recorded as a duo, and have extensively performed together in various ensemble settings. 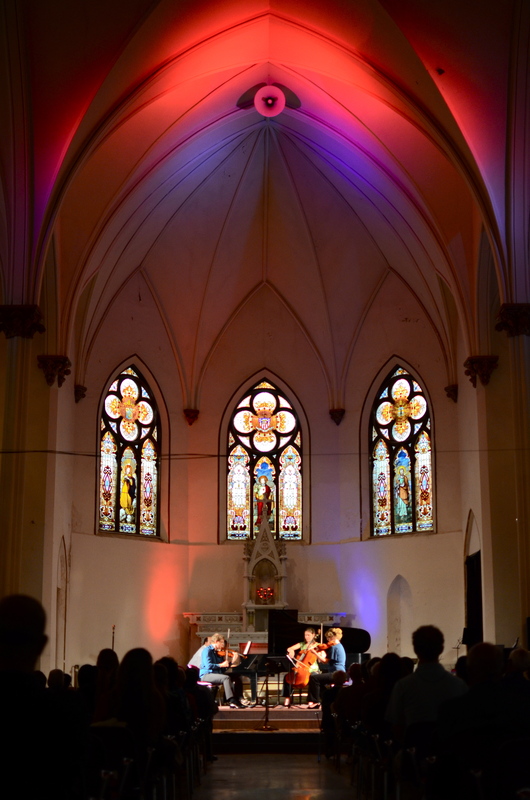 The Duo Chambure CD, Chambure Vihuela Quartet, “Courante“, and Bastian-Martin discs were recorded at the Sacred Heart. All three lutenists have extensively made recordings for solo lute and vihuela, and Martin and Rukavina have had European performances. 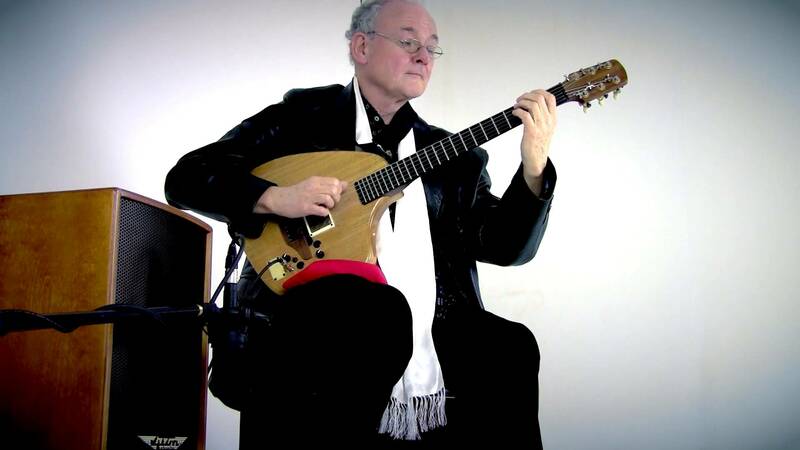 Tenor William Bastian is very well known for his many performances of critical acclaim in various genre from early music, operatic performances, modern compositions, and also as a guitarist and blues singer. Bastian and Martin, having been performing for almost 30 years as a lute song duo, have toured Minnesota and Wisconsin, and recorded their acclaimed CD, “Lute Songs of virtues and Vices” in 1984 . Wordsmiths will unite at Sacred Heart Music Center for the Homegrown Poetry Showcase. Tina Higgins Wussow is organizing again. She expects 30 poets to participate and anticipates poets will be sharing their concerns about the state of the country. “I’m expecting some beautiful dissent and a lot of love.” she says. Violinist Gaelynn Lea will provide accompaniment. All Ages, Wristband Required! Available at the door. Sacred Heart Music Center showcases seven classical afternoon performances. Coordinator Bret Amundson says to expect a cross-section of instrumentalists and vocalists in both small and large ensembles. 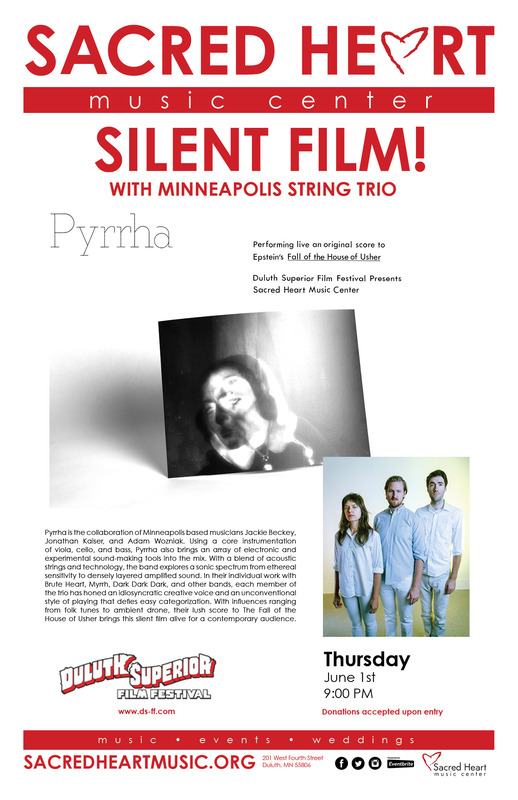 Pyrrha will perform an original score to Jean Epstein’s 1928 silent film The Fall of the House of Usher. Based on Edgar Allen Poe’s gothic horror story of the same name, the film seeths with surreal imagery and dreamlike juxtapositions. Epstein’s cinematic vision is adventurous and influential enough to feel fresh almost 90 years later. As a psychological tale of ambiguity between reality and pictures, The Fall of the House of Usher might actually be the perfect camp melodrama for the age of social media. 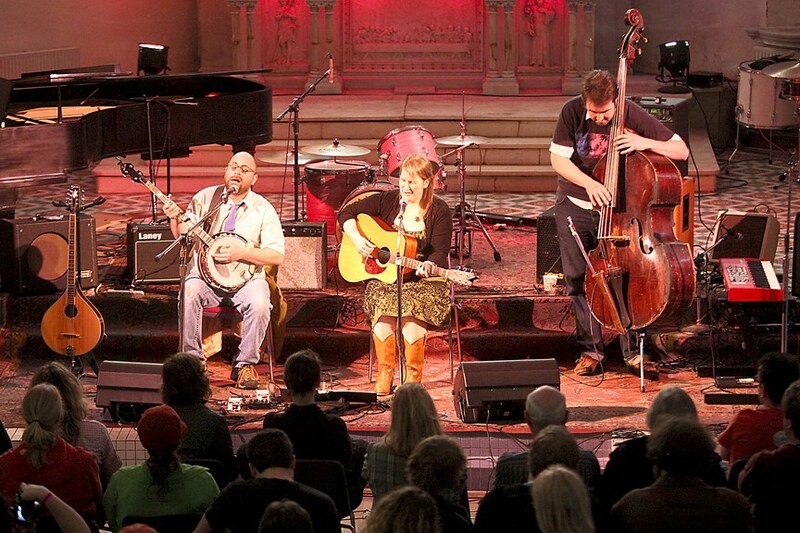 Pyrrha is the collaboration of Minneapolis based musicians Jackie Beckey, Jonathan Kaiser, and Adam Wozniak. Using a core instrumentation of viola, cello, and bass, Pyrrha also brings an array of electronic and experimental sound-making tools into the mix. With a blend of acoustic strings and technology, the band explores a sonic spectrum from ethereal sensitivity to densely layered amplified sound. In their individual work with Brute Heart, Myrrh, Dark Dark Dark, and other bands, each member of the trio has honed an idiosyncratic creative voice and an unconventional style of playing that defies easy categorization. With influences ranging from folk tunes to ambient drone, their lush score to The Fall of the House of Usher brings this silent film alive for a contemporary audience. Tickets: $30 in advance available through Eventbrite.com, $35 at the door. 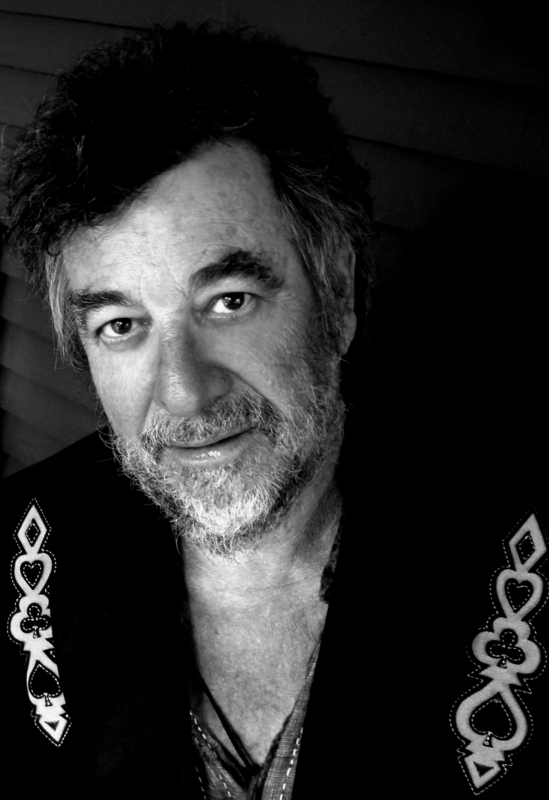 Brown’s songwriting has been lauded by many, and his songs have been performed by Willie Nelson, Carlos Santana, Michael Johnson, Shawn Colvin, and Mary Chapin Carpenter. He has also recorded more than a dozen albums, including his 1986 release, Songs of Innocence and of Experience, when he put aside his own songwriting to set poems of William Blake to music. Join us for a packed evening with two great bands from Minneapolis and our own Superior Siren! If you’re not familiar, check out everyones page below for a sample! Rogue Valley is an Americana-Rock band from Minneapolis, Minnesota. In one years time, they wrote, recorded, and released four full length albums, one with each season. The albums and songs therein come together to tell a story of love and loss; of wanderlust and consequence and of how relationships change over time and distance. Superior Siren has a haunting voice accompanied by a mesmerizing blend of strings and percussion. The sound evolves from alluring swells of sombre melodies to fierce waves of ominous storms. The music will leave you ship wrecked on the shores of Lake Superior. Join us the second Saturday of September for our monthly organ recital on the beautiful Felgemaker organ. Performances by Resident Organist David Tryggestad with Samuel Black, or- ganist; Alana Henkel Laufman, oboist and English hornist and Curt Hanson, baritone. Tickets: $10 available through Eventbrite, or at the door. Join us for Rachael’s release of her new album, Rabbit in the Road. 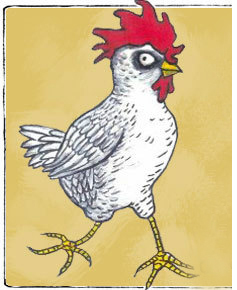 If you’re not familiar with Rachael or Robinson & Rohe, check out their pages below for a sample. Rabbit in the Road is the third soon-to-be-released album from Rachael Kilgour, the 2015 grand prize winner of the esteemed international NewSong Music Performance & Songwriting Competition. A study in the complexities of grief and transformation, the album takes an intimate and often painful look at a failed marriage and the loss of family. Kilgour’s writing and delivery cut deep, with resolute simplicity. Sorrow, rage, resilience and compassion exist side by side within a series of honest and memorable melodies. The delicately brutal collection of work stands tall on a foundation of unwavering vulnerability. Rachael Kilgour, a singer-songwriter based out of Duluth, MN, has built a devoted following over the last ten years, captivating audiences with a balance of provocative, topical lyrics, passionate musical delivery, and a charmingly witty stage presence. Kilgour has performed across the country in coffeehouses, concert series and radio studios as well as protests and picket lines. She’s shared the stage with such folk luminaries as Cheryl Wheeler and Greg Brown and, specifically as of 2015, has made a big splash in the folk world with her vulnerable and driven performances. 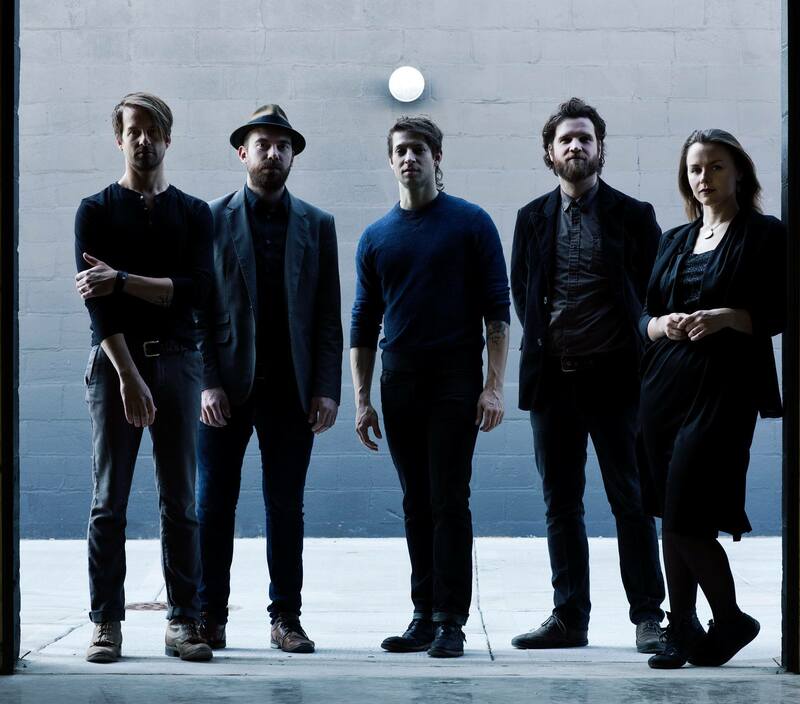 Kilgour was chosen as the Grand Prize Winner of the 2015 NewSong Music Contest. The win earned her a performance at the ASCAP Cafe at theSundance Film Festival, a future performance of her own at the Lincoln Center in NYC, and an EP recorded and produced in Asheville, NC at the Echo Mountain Studio. 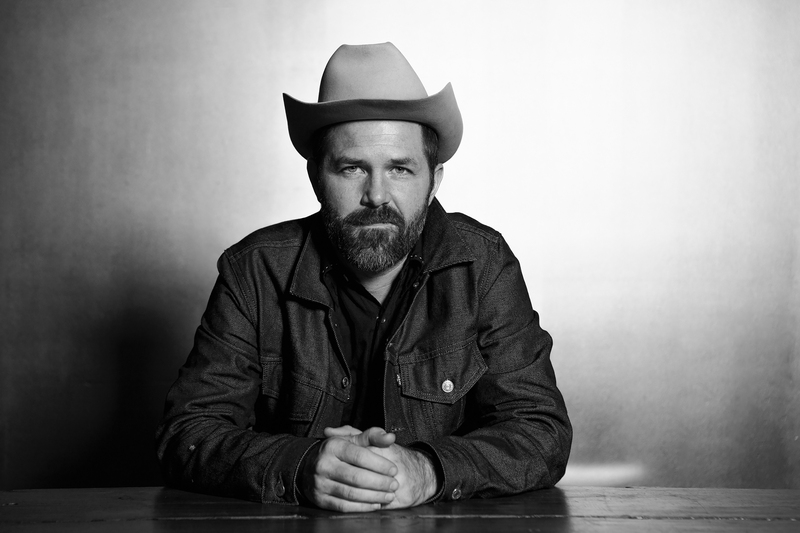 Kilgour also took fifth place in the 2015 Telluride Troubadour Competition and was named the winner of the 2015 LEAF NewSong Contest in North Carolina. 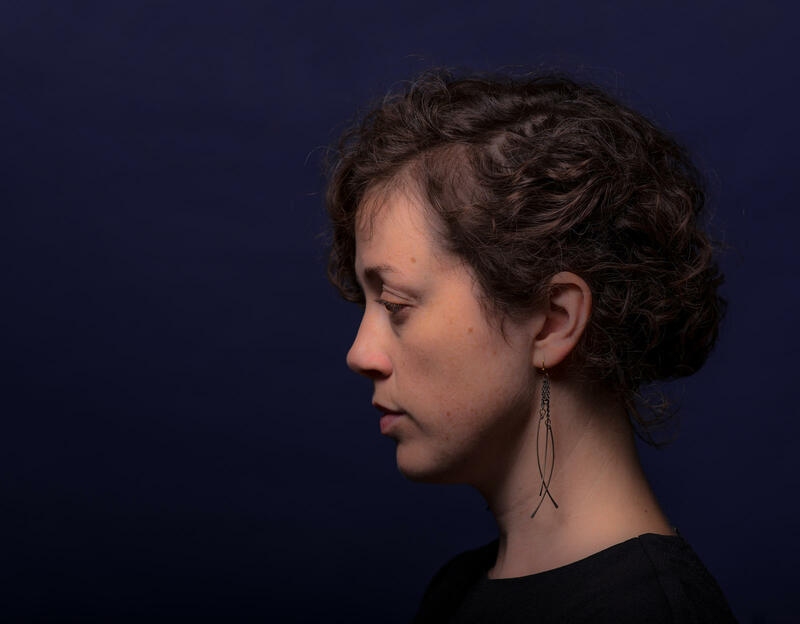 Robinson & Rohe – Jean Rohe and Liam Robinson met a decade ago through their love of participatory music-making and American folk song. 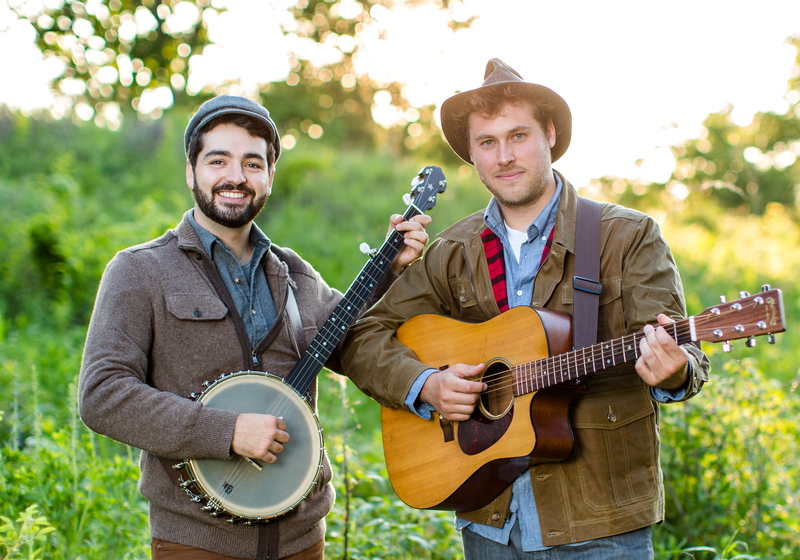 Their cowritten songs are inspired by the traditions they hold dear and shine with elegant vocal harmonies and detailed arrangements for guitar, banjo, and accordion. Whether in small clubs or on festival stages, Robinson & Rohe’s performances are intimate gatherings in which listeners are invited to share in the music-making. Acclaimed songwriters and performers in their own rights, they bring with them a wealth of creative experience: Liam was a cast member in the Tony Award-winning play, “Warhorse” and recently music directed the hit Off-Broadway folk opera “Hadestown” by songwriter Anaïs Mitchell. He routinely tours with the Becca Stevens Band. 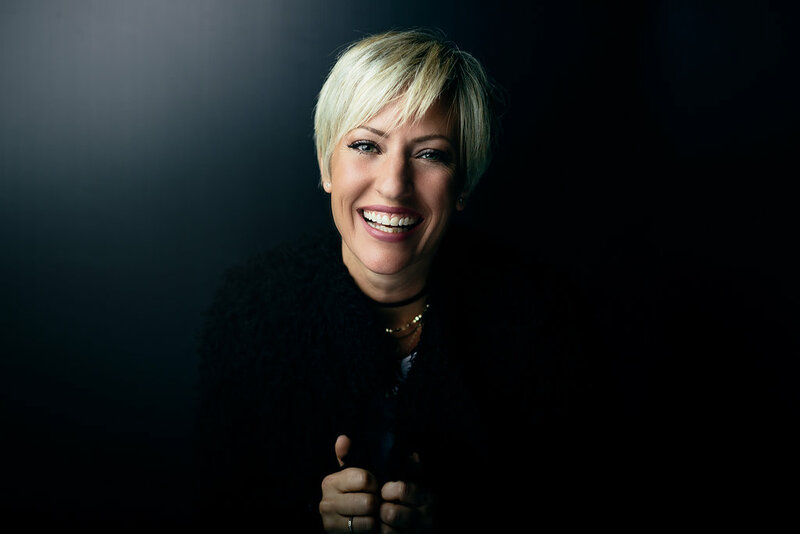 Jean’s songwriting has won accolades from the Independent Music Awards, ASCAP, and the Montreux Jazz Festival vocal contest. This year, her song “National Anthem: Arise! 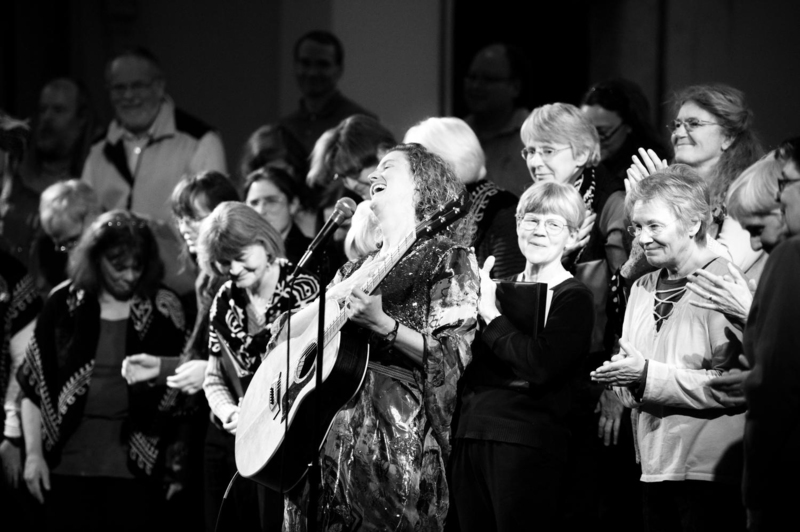 Arise!” was published in the latest edition of the popular songbook Rise Up Singing and she was a Troubadour finalist at the 2016 Telluride Bluegrass Festival. Tickets: $15 for adults, $10 for students and seniors. Available online through The Rose Ensemble or at the door. Jerusalem: a name that evokes 3,000 years of human history. The physical city holds profound spiritual significance for Jews, Christians, and Muslims, but Jerusalem also represents a celestial city rich in symbolism for the children of Abraham. For this fascinating program featuring Sufi mystical songs, Latin and Yemenite chant, Hebrew cantillation, and spiritual music from across the Arab world, we welcome Yair Dalal (Iraqi-born, Israeli violinist and oud player), Zafer Tawil (Jerusalem-born, Palestinian multi-instrumentalist), and Dror Sinai (Israeli-born, Middle Eastern percussionist). We’re excited to be bringing this important program to Duluth, International Falls, Brainerd, St. Cloud, Moorhead, Willmar, Mankato, Morris, Detroit Lakes, Marshall and Rochester. And we’ll be returning to Ted Mann Concert Hall for a home concert in Minneapolis! In each city, special educational events will take place in schools, libraries, and community centers. Enjoy a post-concert discussion following each performance. 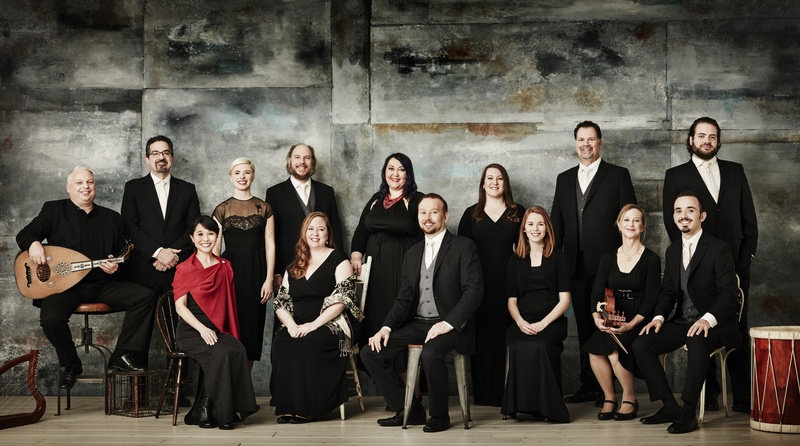 The Rose Ensemble, founded in 1996 by Artistic Director Jordan Sramek, has achieved an international reputation as a premiere American early music ensemble. Each performance illuminates centuries of rarely heard repertoire, bringing to modern audiences research from the world’s manuscript libraries and fresh perspectives on history, culture, politics and spirituality from around the globe. With ten critically acclaimed recordings and a diverse selection of concert programs, the group has thrilled audiences across the United States and Europe with repertoire spanning 1,000 years and over 25 languages. 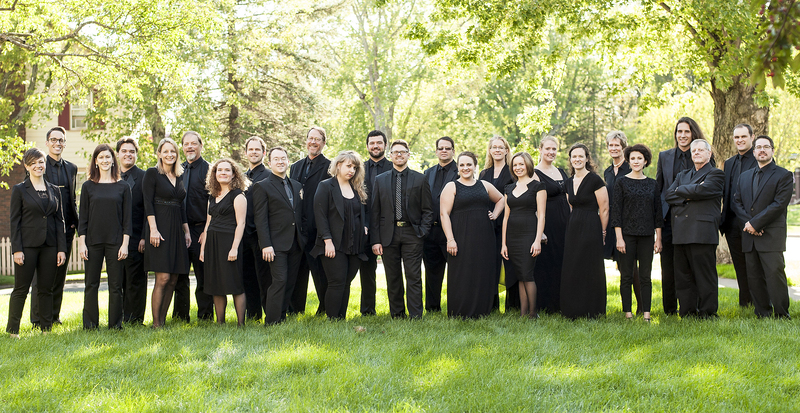 The Rose Ensemble’s recent performance highlights include appearances at Early Music Now (Milwaukee, WI), the University of Vermont Lane Series (Burlington, VT), California Lutheran University (Thousand Oaks, CA), Cornell University (Ithaca, NY), St. Quirinus Cathedral (Neuss, Germany), and the Misiones de Chiquitos Choral Festival (Bolivia). In 2014, The Rose Ensemble made their debut appearance with the Minnesota Orchestra in a special holiday program. The Rose Ensemble can be heard regularly on American Public Media and the European Broadcasting Union (most notably with annual Christmas broadcasts) and has recently featured in special live broadcasts on Iowa Public and Vermont Public Radio. Join us the second Saturday of October for our monthly organ recital on the beautiful Felgemaker organ. Performances by Karen Hanson Sande and Velda Graham Bell, organists; Sarah Lawrence and Calland Metts, vocalists; Earl Salemink, trumpeter and Joshua Peterson, violist. Tickets: $10 in advance through Eventbrite, $12 at the door. 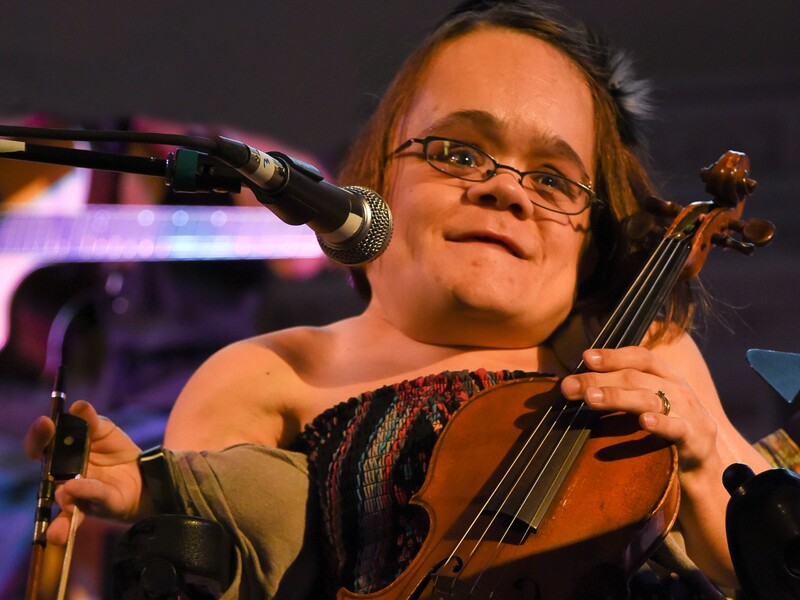 Gaelynn Lea released her debut solo album entitled “All the Roads that Lead Us Home” in November 2015. It pays homage to the traditional fiddle tunes and beloved standards that Gaelynn has been playing for over a decade. But of course, there is a twist! Gaelynn used her Memory Man looping pedal to create winding layers of sound underneath these familiar melodies. Rich vocal harmonies merge with intimate layers of guitar, fiddle and banjo to define the lush sound of the recently formed duo, Dusty Heart. Barbara Jean and Molly Dean are two songwriters recognized in their own right for their poetic lyrics and distinct vocal styles that when combined as Dusty Heart fuse to create a powerful and haunting sound that takes on a life of its own. The pair met in the bustling Minneapolis music scene and became fast friends as well as fans and supporters of one another’s work. Bonding over their refusal to be pigeonholed musically or otherwise, their shared wanderlust and love of adventure, a passion for the open road, vast landscapes, and a mutual love for musical harmony, the two decided to join forces crafting a sound that bridges together the diverse musical worlds of roots, indie, and folk. 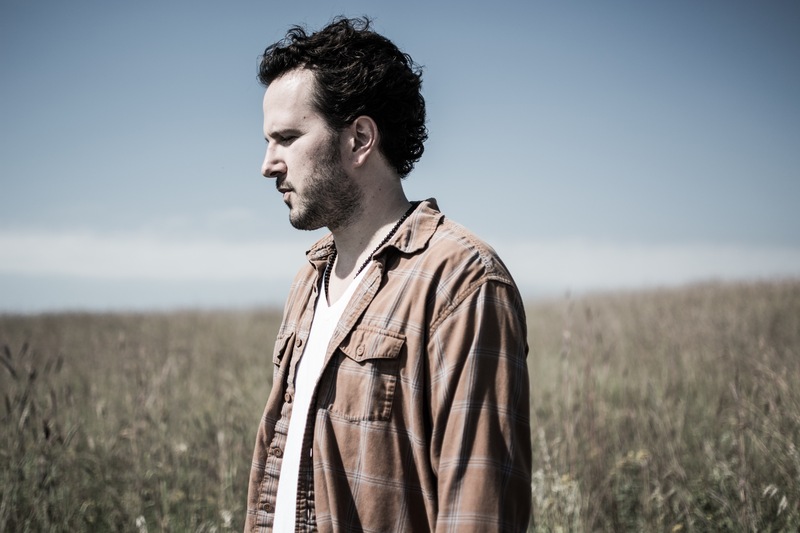 As soon as they embarked on their collaborative journey, Dusty Heart was off to a running start, receiving an invitation to open a series of sold-out shows supporting Dave Simonett and Dave Carroll of Trampled by Turtles across the state of Colorado. Echoes of Peace began in 2002 as an impromptu choir organized by Sara Thomsen to sing for the first “Art of Peace” event in Duluth, Minnesota. This grassroots event—a community response to 9/11/01 and its aftermath—continued annually for six years, bringing varied artistic expressions together to inspire and instigate creativity, plant peacemaking, and seed social change. Today, Echoes of Peace carries on this “art of peace” spirit, presenting performances and workshops on a range of art and social change topics, collaborating with local and international artists, and engaging communities in creativity and song at various events though out the year. In 2012, on the celebration of the Echoes of Peace Choir’s ten year anniversary, Thomsen founded the Echoes of Peace non-profit to support and expand the work of inspiring awareness, action and reflection on critical social issues using music and the arts. From Menopause to Marijuana! …Peace to Politics! …Poignant to Provocative! …Ellen Bukstel writes and sings about it all! This type of happy-sad, life embracing, fear-overcoming emotional schizophrenia truly captures the spirit of modern independent music making—whatever the artist feels in that moment, she shares…and whatever else Ellen is, she’s not shy about it. For Bukstel, music is a way of expressing her joys, her sorrows and her passions —bringing her listeners to tears and laughter and sometime both at the same time. Renowned as an activist who puts her passions to song, Ellen has been commissioned to write songs and produced numerous multiple award winning fundraising music videos which have collectively helped to raise almost one hundred million dollars since 2006 and are being used as tools to raise awareness of important social issues such as Housing the Homeless, Assistance Victims of Domestic Violence, Human Rights and care for Children with wide spectrum Autism and Elderly with Cerebral Deterioration. Tickets: $20 advance through Eventbrite, $25 at the door. Joining us from across the pond, Adrian Legg is a renowned acoustic guitarist who we’re extremely proud to have visiting us up north. If you’re not familiar, explore his site and music at the link below. Since the 1990 release of his first U.S. recording Guitars and Other Cathedrals, Adrian Legg has more than lived up to the expectations stirred by an ongoing avalanche of praise from critics, fans, top guitar mags and peers alike. Joe Satriani once said, “He’s simply the best acoustic guitar player I’ve ever heard…he plays like he has hammers for fingers.” The genius that the Boston Globe has called “technical brilliance paired with a troubadour’s tale-weaving skill” led him from 1993-96 to be voted Best Fingerstyle Guitarist four years straight by the readers of Guitar Player magazine. On Inheritance, his second release for Favored Nations and ninth overall, Legg blends his extraordinary virtuosity on the acoustic with a lush sonic arena that harkens back to the musical textures of his childhood life before the guitar. Join us at Sacred Heart for a first, a Silent Film featuring Sacred Hearts beautiful 19th Century Felgemaker Organ! 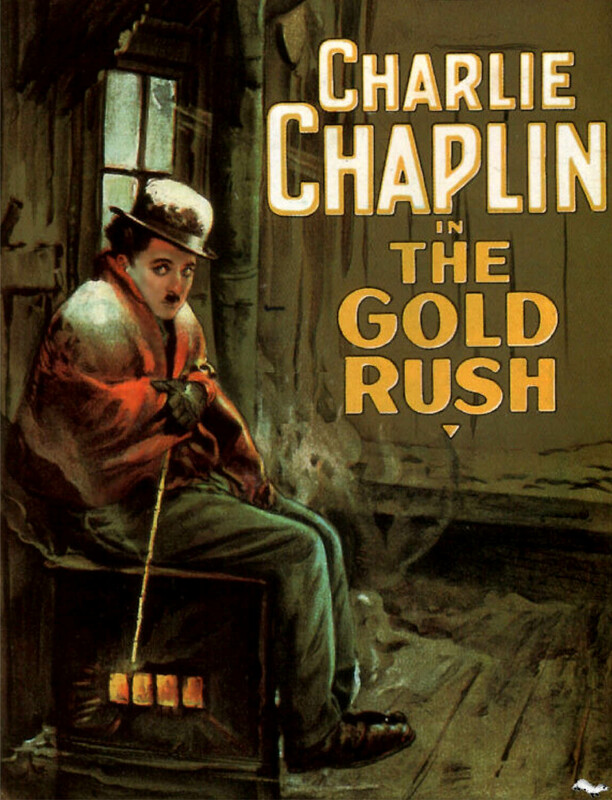 Internationally acclaimed Organist Aaron David Miller will accompany Charlie Chaplin’s “Gold Rush”. We will be serving beer, wine and FRESH popcorn! 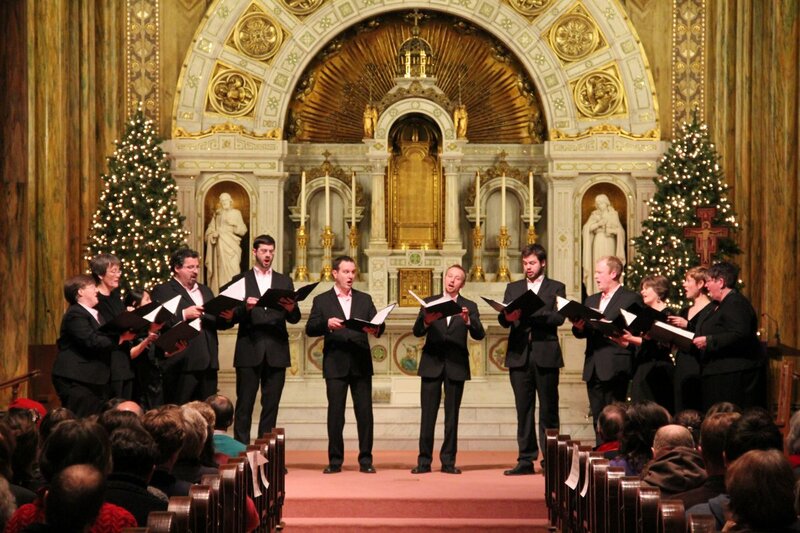 We can’t wait to welcome back one of our favorite groups, Twin Ports Choral Project. If you’ve never experienced choral music at Sacred Heart, TPCP is the group to experience it with. They frequent Sacred Heart and know how to embrace the cathedral’s grandeur for what it was intended. For this special event, members of Twin Ports Choral Project reflect on their personal singing experiences through music hand-selected by the singers themselves. Twin Ports Choral Project inspires, engages, and educates audiences by sharing innovative and informed choral music performances. 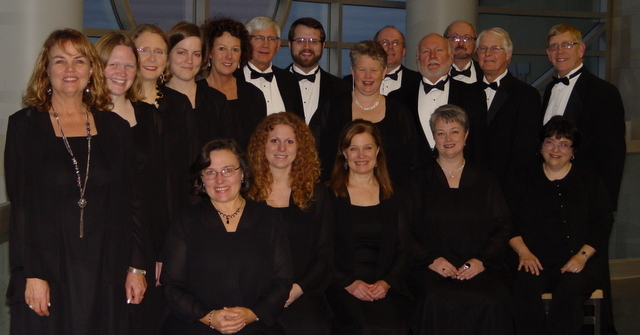 Celebrating its fifth season, the Twin Ports Choral Project sings to inspire, engage, and educate audiences by sharing innovative and informed choral music performances in Northern Minnesota. Twin Ports Choral Project encourages meaningful choral collaboration in the Twin Ports area. Highlights of these collaborations include performances of J.S. Bach’s Actus tragicus and the revival of Sister Martina Hughes’ The Highwayman with the The College of St. Scholastica’s Early Music Orchestra and choirs; performances with the Lake Superior Chamber Orchestra; and an annual collaboration with Duluth East High School. Twin Ports Choral Project has been invited to perform at Minnesota Public Radio’s 2014 and 2015 Harmony in the Park, at the 2015 ACDA-MN State Conference, and at the 2016 North Central ACDA Regional Conference in Sioux Falls, South Dakota. Free-will donation taken at all concerts with proceeds going to the Felgemaker Organ Maintenance Fund. Receptions to follow with treats. Join us for The American Guild of Organist’s holiday concert. A repeat performance of last year’s popular Holiday Concert sponsored by the Arrowhead Chapter of the American Guild of Organists. Featuring the AGO’s organ scholarship students; East High School Sterling Strings Chamber Orchestra; Class Ring, First United Methodist’s youth handbell choir; Twin Ports Wind Orchestra brass and Sacred Heart’s Resident Organist, David Tryggestad, leading a carol sing-along. Admission is free, with a request for an offering during the concert, suggested donation $30. Holiday treats will be served in the parish hall following the concert. The concert benefits the family programming at the Steve O’Neil Apartments. This year’s performers include (among others) the Cathedral of our Lady of the Rosary Choir, David Tryggestad (former pastor of Concordia Lutheran Church). Tickets: $28 for adults, $24 for seniors 65+, $10 for students, & free for children 0-12. Available online through The Rose Ensemble or at the door. The rose, an ancient symbol of the Virgin Mary and the Christ child, inspires this program of Medieval and Renaissance music for the Christmas season. During a time of year when the thirst for happiness can bring stress and even sorrow, we offer this joyful program of gorgeous choral music, celebrating the blossoming of new life during the coldest of days. These performances will feature a world premiere by composer Victor Zupanc. Tickets: $7 in advance through Ticketfly or $10 at the door. Bad Bad Hats is an indie rock band from Minneapolis, Minnesota. Kerry Alexander (vocals, guitar, wisdom), Chris Hoge (drums, courage), and Noah Boswell (bass, power) met while attending Macalester College in Saint Paul, Minnesota. 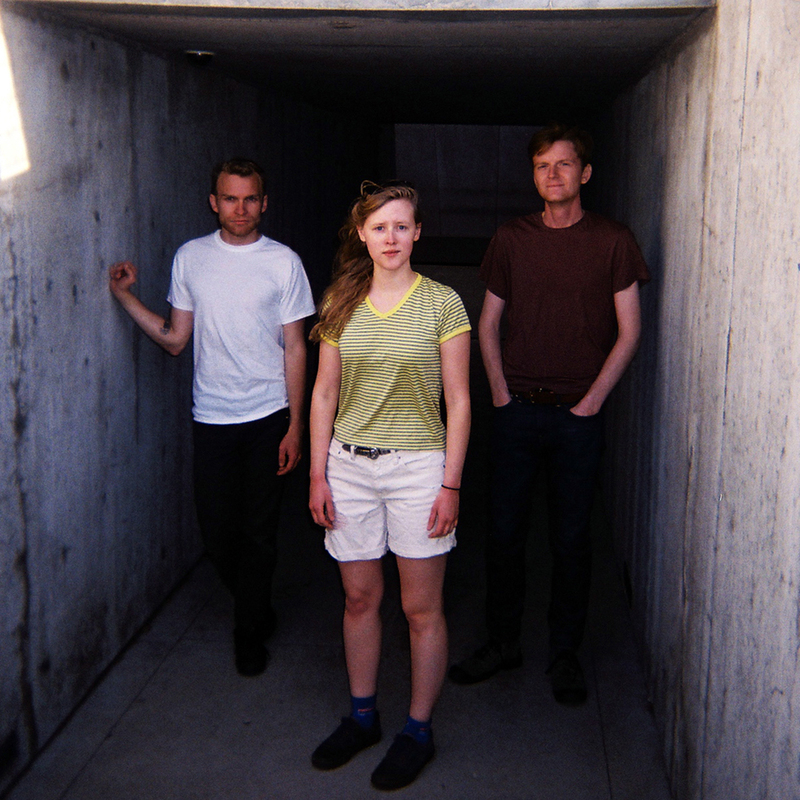 The indie rock trio’s songwriting quickly caught the ear of Minneapolis label Afternoon Records, whose alumni includes Yellow Ostrich, Now Now, Haley Bonar, and One for the Team, among others. Afternoon Records signed the trio and released their It Hurts EP in early 2013. In July of 2015, the band released their bold debut album, Psychic Reader. Tickets: $15 in advance through Ticketfly or $30 at the door. 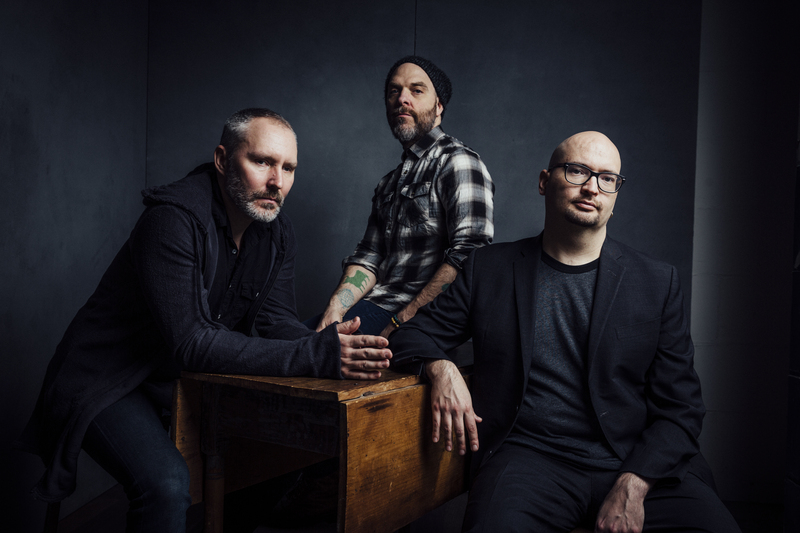 The Bad Plus has spent nearly two decades expanding the parameters of what is expected of a piano-bass-drums trio. The genre-smashing band has crafted a repertoire of innovative original music, along with a daring series of iconoclastic covers spanning such diverse artists as Nirvana and Neil Young, Aphex Twin and Ornette Coleman. No matter the material, The Bad Plus continue to mine the very same aesthetic principles that inspired their inception, exploring myriad musical forms through the unparalleled interpretive power of jazz.